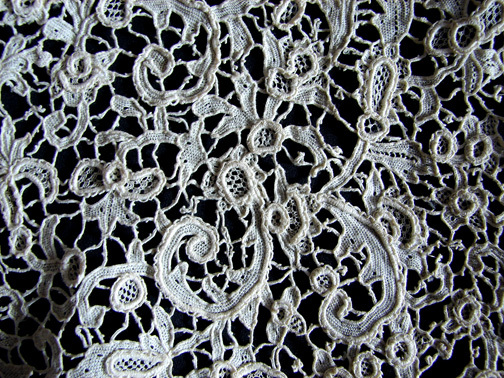 И еще одна подборка старинного брюссельского кружева, состоящая из шикарных воротников, сюда же добавила чудесные, ажурные рукава. 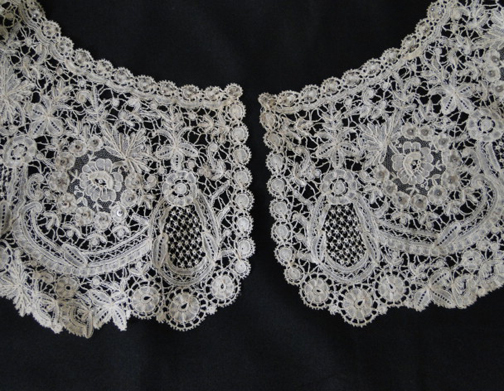 A lovely Brussels lace Bertha collar with cut-steel beads and sequins. 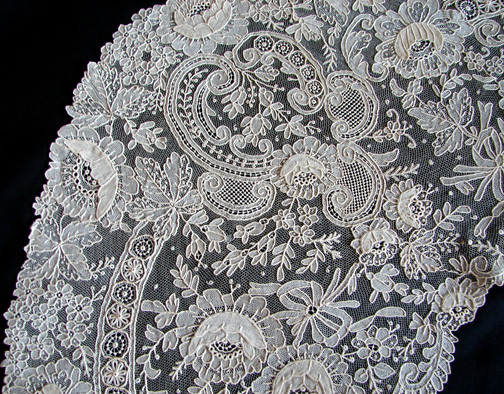 A very beautiful design with large oval vignettes filled with roses. 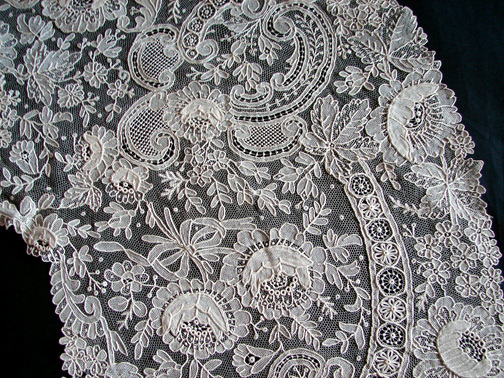 Fine workmanship and excellent design. 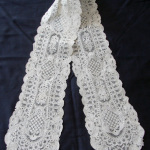 Circa 1860’s, a lovely and large rosaline lace bertha collar. 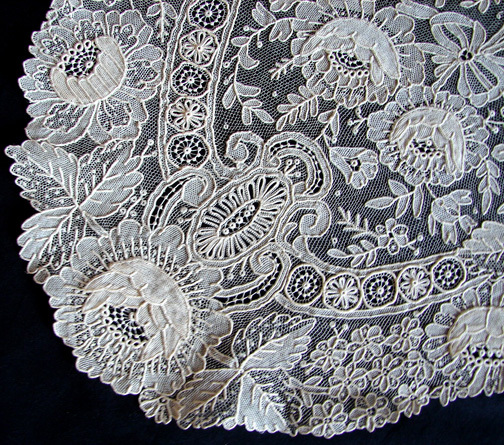 Fine needlepoint is combined with a lovely design of meandering flowers and leaves with some raised work on the flowers and leaves. 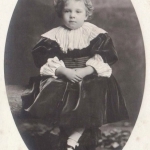 Measuring apprx. 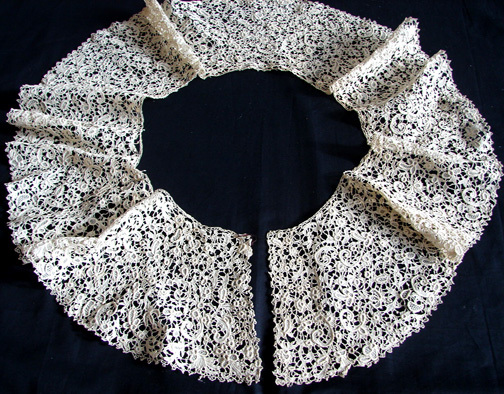 45″ by 7 1/4″ wide. 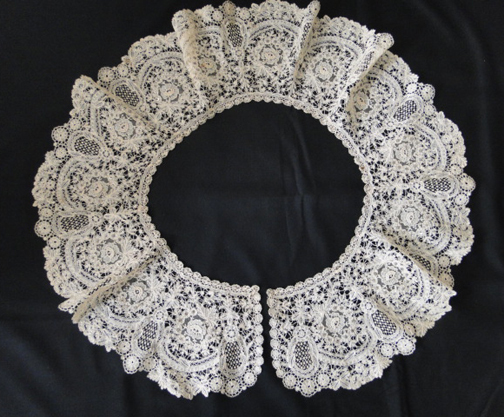 Просторный Брюсселе Point De Взгляд кружевной воротник. 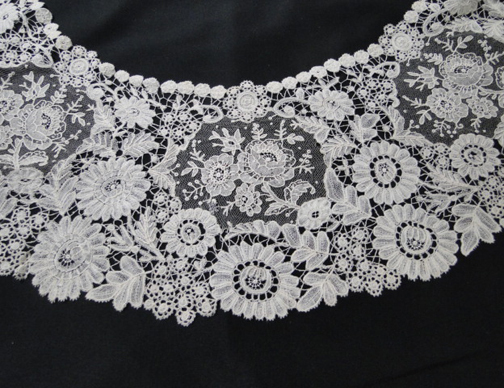 Качество, отличный дизайн, отличные большие трехмерные роз. 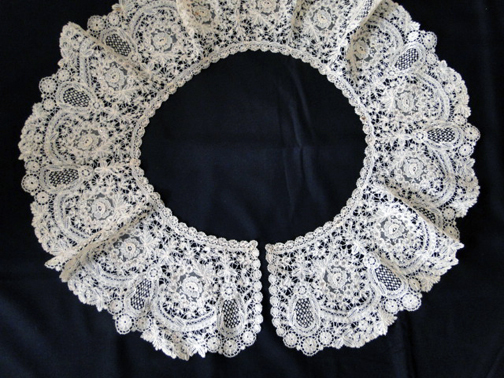 Этот ошейник есть все, что считается лучшим в брюссельские кружева. 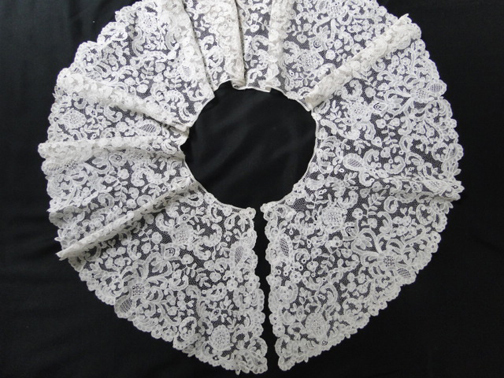 A fine Brussles lace collar with Point De Gaze roses. 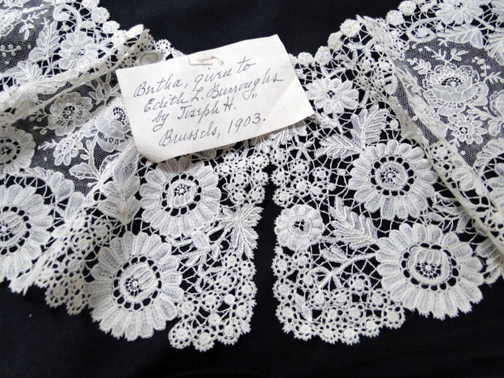 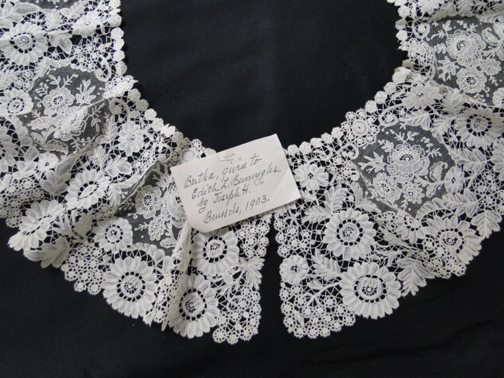 The collar has a original note stating the date as 1903, when it was given to «Edith L. Burroughs». 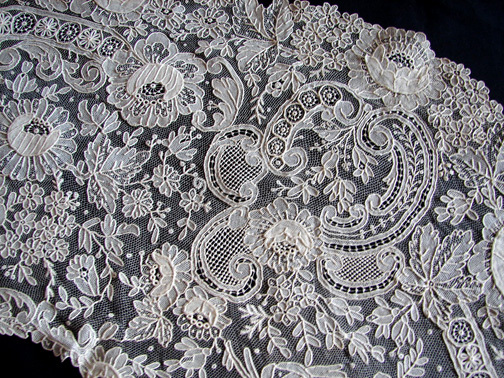 Fine workmanship and design. 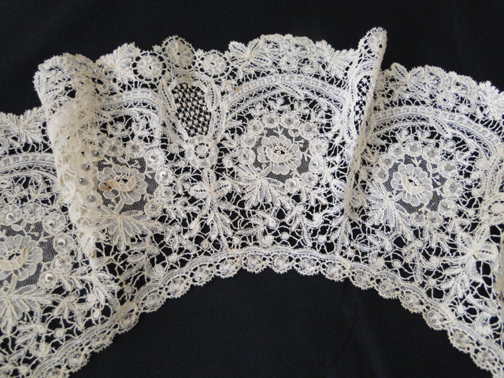 A fine 19th C. Bertha lace collar measuring apprx. 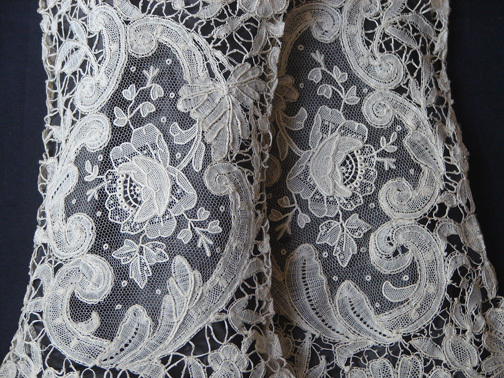 36 1/2″ by 9″ wide. 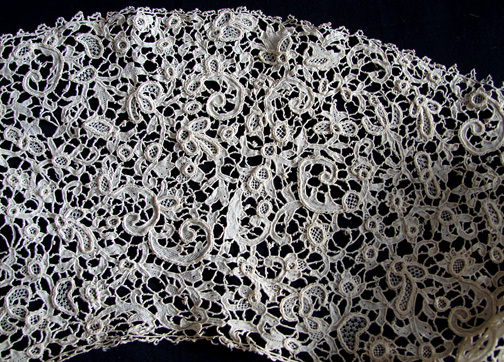 A ornate design with scrollwork, meandering vines and leaves. 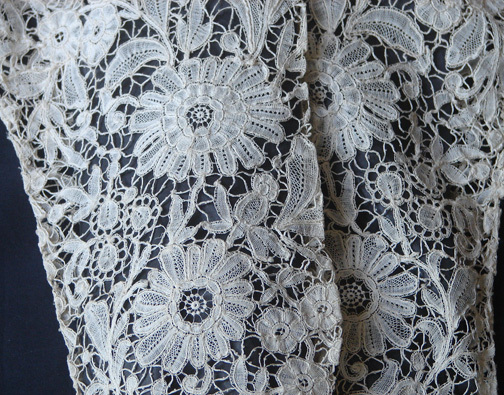 Many of the flowers have needle lace fillings. 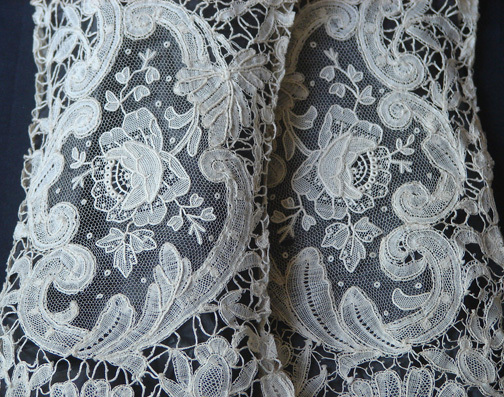 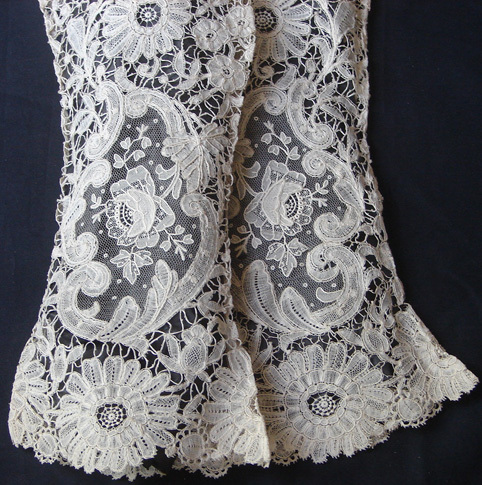 A beautiful pair of 19th C. Brussels lace sleeves! 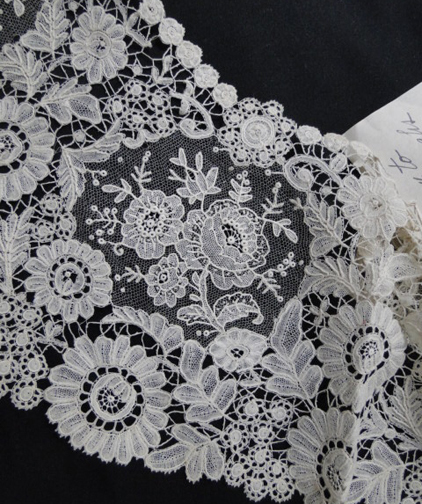 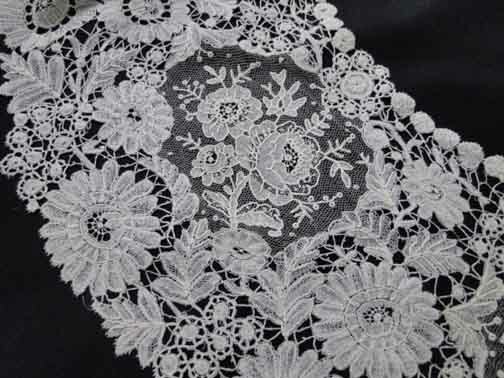 The bobbin lace has a elaborate design, with excellent workmanship throughout. 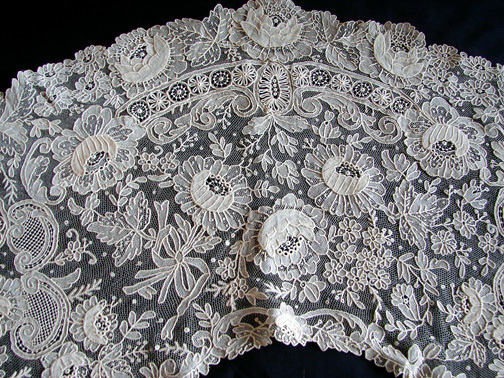 There is a large shaped vignette filled with a Point De Gaze rose that has three-dimensional petals. 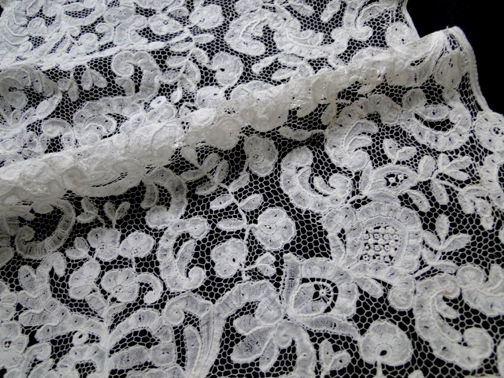 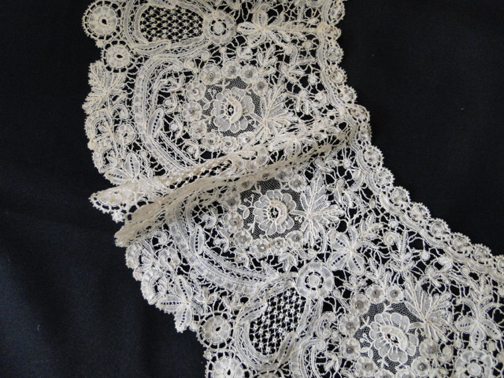 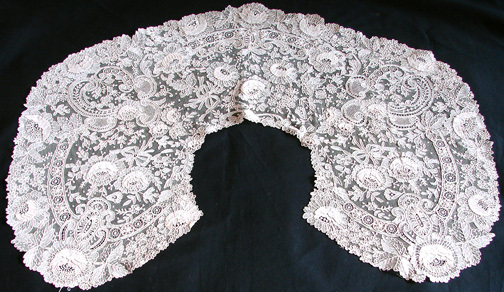 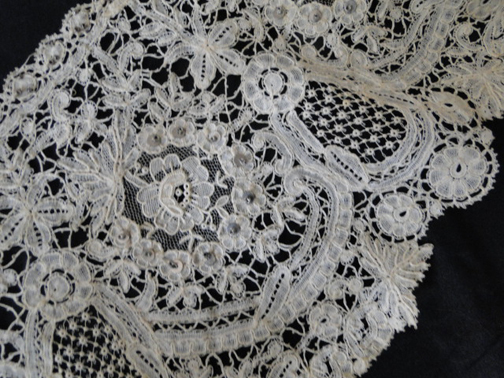 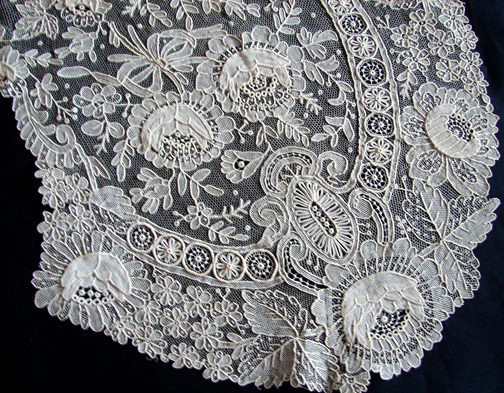 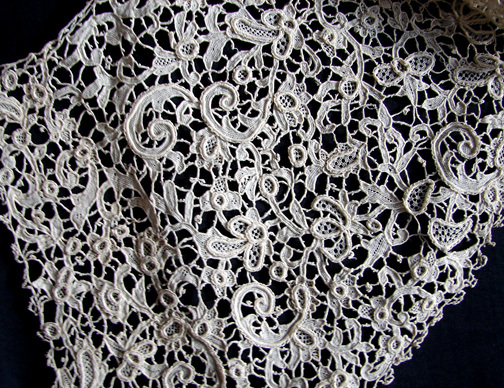 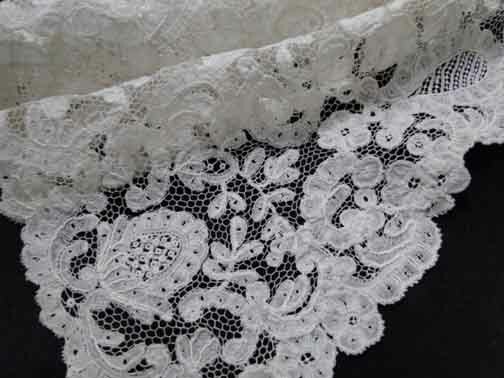 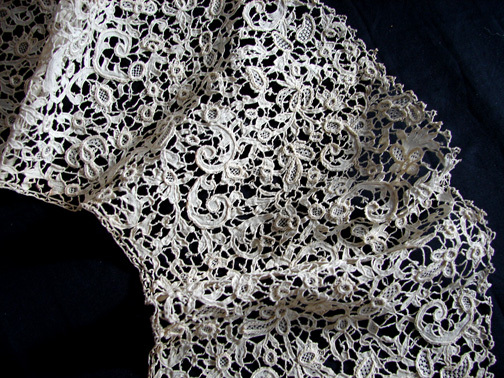 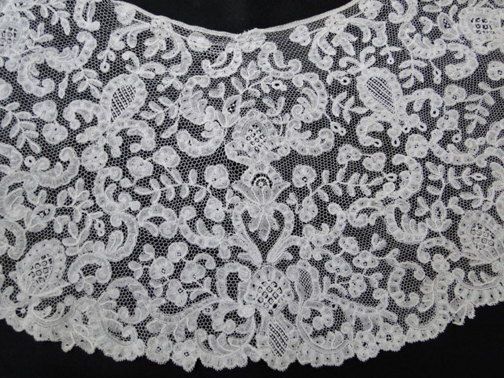 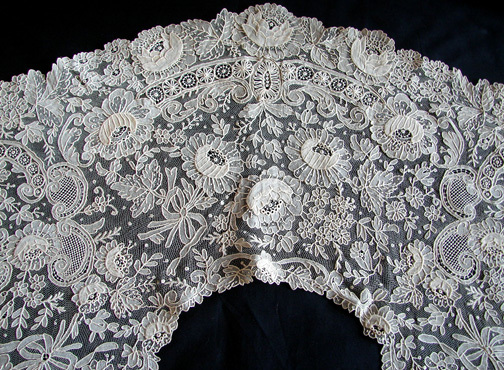 A elegant and refined example of the best of Brussels lace. 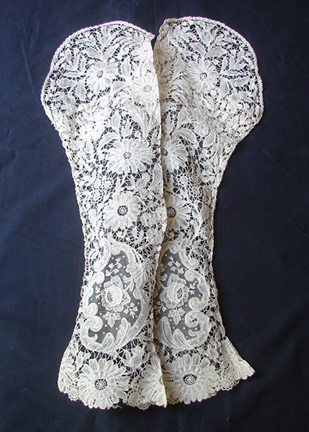 In good, unused condition.